It all starts with a commercial on the radio or on a click bait ad on the web that asks men if they have experienced a loss of libido, general fatigue, joint pain, weight gain, loss of muscle tone, and a variety of other conditions that normally happen to men as they get older. The ad them tells them if they take testosterone replacement therapy, they will feel much better and most of these so-called symptoms of a low testosterone count will get better, or go away entirely.As our Boston testosterone replacement therapy injury lawyers can explain, there is not any consensus on what it even means to have a low testosterone count. When a blood test is administered that asks for a testosterone count, the results will give a score and the score can be compared to the average score of men in the same age group. This means a doctor could say that a person has lower than average testosterone levels, but they do not know much beyond that. For example, it is not known if having a lower than average testosterone level causes any change to the patient. The drug companies have essentially created the concept that having a low testosterone levels causes all of these symptoms and that taking testosterone hormone will fix the problem. There have been no studies where they took men with average or even high testosterone levels and seen if they were experiencing the same symptoms such as being tired or having a loss of libido. Since we are typically dealing with middle age as a target audience for the testosterone replacement drugs, there is a good chance they would have the same symptoms regardless of their testosterone levels, since many doctors simply see the signs of men getting older. According to a recent news article from the Idaho Statesmen, there should be much more thought given before a patient is proscribed testosterone hormone. The issue has to do with why the U.S. Food and Drug Administration (FDA) first approved the drug and how it is labeled. Hypogonadism, the only condition for which these treatments are approved, is a condition, usually in younger people, where there is such a low testosterone level that development may be stunted. This is far lower than what the makers of testosterone replacement therapy drug makers call a “Low – T” count. They use the term Low T because it sounds less intimidating than low testosterone levels. 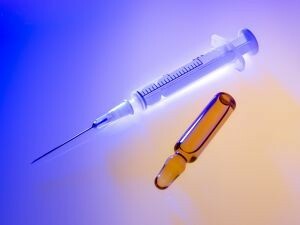 The companies also realized that many doctors did not want to proscribe testosterone replacement therapy since there are many risks associated with the drugs coupled with the fact that most patients do not suffer from hypogonadism, which is the only medical condition the FDA has actually approved TRT drugs for. This is not to say it is illegal to prescribe it for a different condition under what is known as off-label use. The FDA calls off-label use unapproved use, but they recognize the other term as well on their website. As stated by the FDA, the drug company only has to show that a drug is safe and effective when used for its intended use. There is no requirement to show it is safe for other uses. Doctors are allowed to prescribe a drug for another use so long as they use their own independent medical judgement, and they are following the acceptable standard of care and not being negligent. For example, if a drug was not in any way indicated for a certain use, and they were recklessly experimenting on patients, that would be negligence. On the other hand, if there is a good faith basis to use a drug in a certain way, they can do so, but they must tell the patient. Since doctors were not comfortable giving TRT drugs for on-label use once the dangers were exposed, the drug companies essentially created the concept of a T-Clinic where patients tell their symptoms and get TRT drugs, and many do not even have blood tests, because off-label use is about treating the symptoms alone. They must have a doctor associated with the clinic, but it was not hard to find a few that would be willing to sign off on this for the massive amounts of money they were being paid. This being said, there were fines issued when it was discovered some doctors did not have any contact with the patients and were just letting the clinic essentially use their prescription pads. As we have seen, many of these men who went to Low T clinics ended up with serious medical conditions and the worst part is that they never should have been taking the testosterone replacement therapy drugs in the first place.